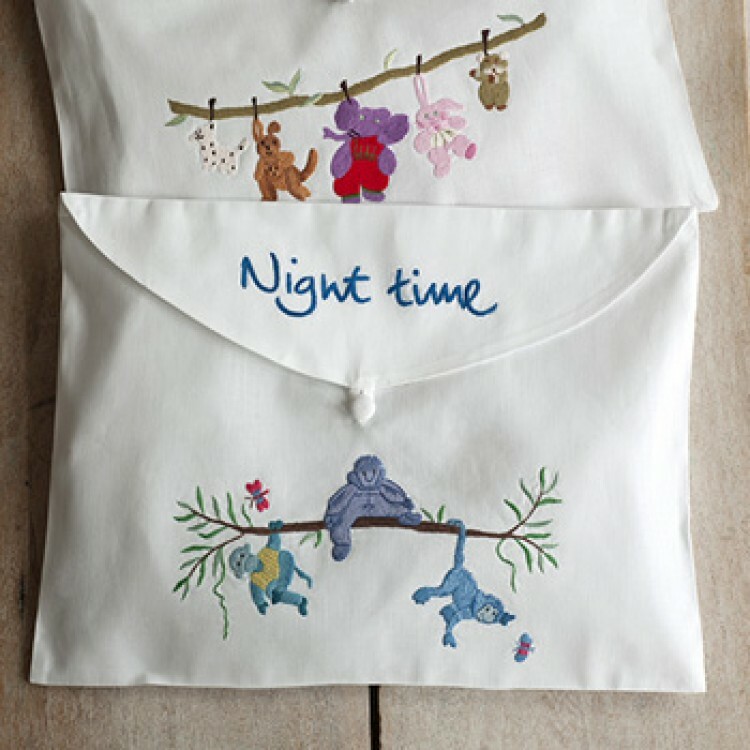 Each Laundry, Baby and Night time bag features original Sibona embroidery designs by Jacqui McLennan and based on actual children’s soft toys. The designs are then drawn on to the cotton fabric and individually embroidered to an extraordinary standard of detail and craftsmanship. 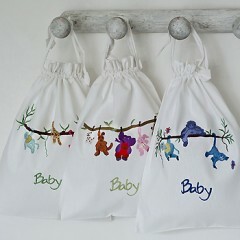 The baby bag is great for travelling or as a tidy bag in the bedroom – while the laundry bag deals with that ever accumulating washing! Both make a great new born gift.